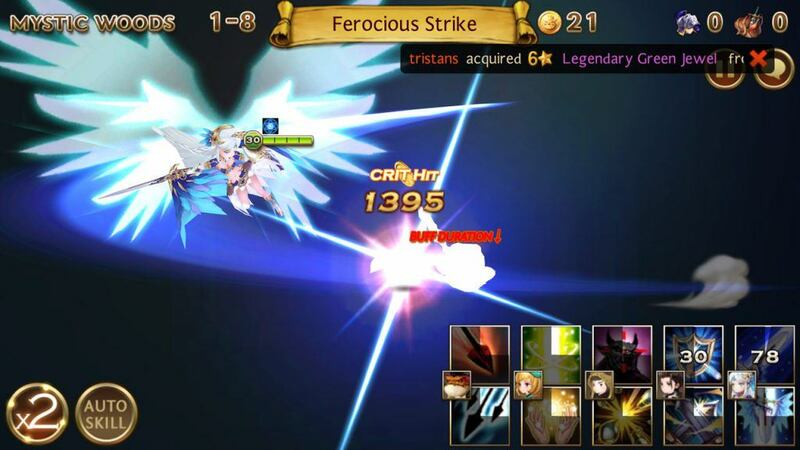 Seven Knights is a highly popular 3D RPG action game involving the collection, power up and rank up of heroes to fight for peace. 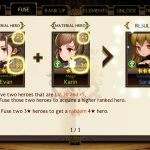 Fuse heroes to create even more powerful allies. Use powerful skills to defend or attack foes. There is an in-depth story campaign mode as well as several others including PVP arena to battle against others online. Collect, power up, gear up, rank up unique heroes! Cool anime inspired 3D graphics! Plenty of levels and modes to play! 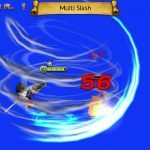 Combat other players online in PVP arena! Overwhelming yet in-depth hero upgrade system! Much of the game can be set to auto-play which takes away from the challenge and fun. 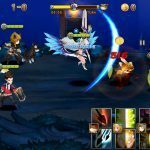 In Seven Knights you take on an epic quest to follow Evan and Karin in an adventure across the land of Landenberg- assembling brave warriors who can face the God of Destruction and preserve peace. Initially you start in Adventure mode and the game features a tutorial to show you how to get acquainted with management. 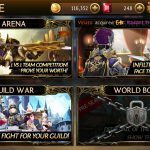 You play you can unlock heroes in various ways; earning from campaigns, earning from bonuses, purchasing with in-game currency, or fusing to combine heroes to forge new- more powerful allies. 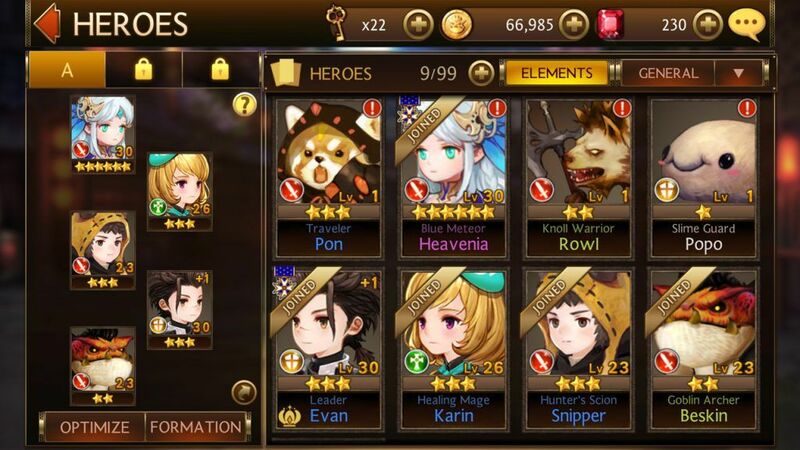 There is a really overwhelming yet in-depth upgrade system and it’s important to spend time managing your heroes for when facing tougher foes. We’ve created an ultimate guide series breaking down factions. When you fuse heroes, in essence it sacrifices them for new ones to be created. 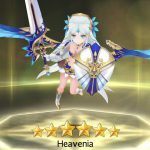 Heroes classify in one of five types including; Tank (front-line defense), Striker (highly offensive, low defense), Priest (healers, low defense), Mage (highest majestic offensive, low defense), and All-around (well balanced offense and defense). This is also where you manage the position and warriors in your formation. 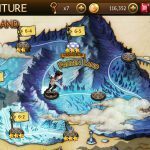 In order to fight you must visit the Adventure section to follow the story campaign. There are a wealth of levels to play and gain experience. In bouts, each of your heroes get to strike then each of your opponents get to strike back. Each hero has two active powers and one passive power shown in the bottom right of the screen. These are recharged after a certain number of seconds. Then turn-based fighting goes on until one side has perished. Periodically you reach a boss level as you advance stages. In the bottom left you will find the x2 (speed up gameplay twice as fast) and Auto Skill (have the game automatically invoke a hero’s special power) buttons. I personally to not desire this style of gaming as it automates the game and you are not playing- but watching battles. In order to get past the monotony of extended gameplay I would disable Auto Skill and control which hero special power you would like to invoke. Unfortunately you cannot change the game’s difficulty level from Easy to a higher mode until you complete all of the easy levels. Other gaming modes such as Celestial Tower has 120 floors to fight your way to the top. Though you cannot battle unlimited as you are only allotted a certain number of keys to play levels- else wait for them to be replenished. 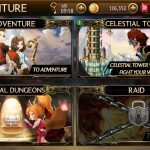 In addition to these are other modes such as Special Dungeons and Raids. If you’re in need of more diverse action there are other gaming modes under the Battle section too. These include Arena bouts for one-vs-one team competition to prove your worth. There’s Castle Rush to infiltrate the castle and face the Seven Knights! Other modes host Guild Wars & World Boss modes. 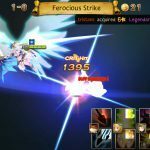 Seven Knights features awesome anime inspired 3D graphics and fluid animations! Battle sound effects are suiting of the title, however, sounds you will hear from your characters will become very limited and repetitive. 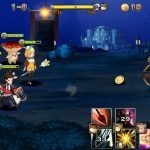 Seven Knights features plenty of levels and gaming modes to battle monsters in the land of Landenberg. However, my biggest gripe is how repetitive it can become with much of gaming automatically controlled. Therefore the excitement then falls on the upgrade system to power up and fuse heroes- necessary for higher challenges. 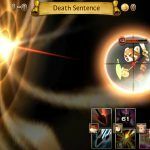 The anime inspired graphics and animations are fast-paced with visceral action-packed bouts. It’s a popular title you must experience to understand so play it now. 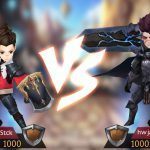 BlueStacks is the best way to play Seven Knights on PC… download now! 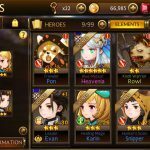 Summoners Wars Monsters Guide: Which Ones To Pick?